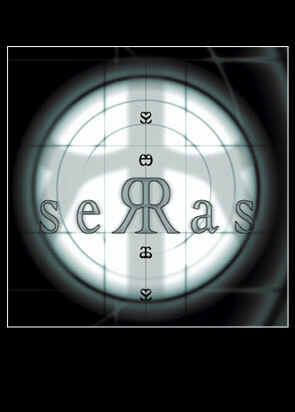 The music on this CD is the result of the work we have done in the rehearsal room as well as on tour in Denmark and abroad since the Autumn of '98, when Serras was formed. The overall idea was, first and foremost, to play music based on a number of themes from Danish music of the 18th century. Harald Haugaard, the one in Serras most deeply involved with traditional Danish music, found a number of themes in old dusty music books from, among others, the clerk Rasmus Storm from the south Funen, the flautist Count Otto von Raben from Lolland and the Faeroese student of theology, Jens Christian Svabonius from Copenhagen. The music was arranged in a very rewarding process which was also, at times, quite demanding. This took place whilst rehearsing the music and all the band members were involved. This CD contains two tracks recorded live at the Tønder Festival, August '99. The others were recorded in three days in Birdland Studio in Århus with Morten Eriksen as technician and co-producer. Most of the recordings are first-takes. Whilst mixing the music Morten Eriksen has very skillfully added various beats, samples, loops and sounds. Read about the cd's "Second Hand" or "Stand Clear Of ..." or "Ø"